Few senators have a better track record on the environment than John Kerry, and he has a solid plan for protecting it. So why don’t more people know that? The League of Conservation Voters has strongly endorsed Kerry, who has earned a 92 percent rating from the organization over the course of his Senate career — among the highest ratings the League has ever awarded. (For comparison, “Earth in the Balance” author Al Gore scored only a 64 percent rating from the League). 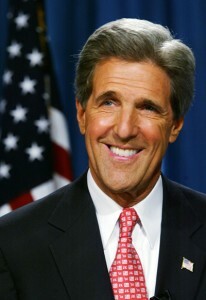 Kerry’s green credentials obviously stack up well against George Bush’s; the president has earned an “F” rating from the Sierra Club, managed to avoid getting the endorsement of Republicans for Environmental Protection and compiled the worst environmental record of any modern U.S. president. “Now, when it comes to the issue of the environment, this is one of the worst administrations in modern history. The Clear Skies bill that he just talked about, it’s one of those Orwellian names you pull out of the sky, slap it onto something, like ‘No Child Left Behind’ but you leave millions of children behind. Here they’re leaving the skies and the environment behind. “If they just left the Clean Air Act all alone the way it is today, no change, the air would be cleaner that it is if you pass the Clear Skies act. We’re going backwards. In fact, his environmental enforcement chief air-quality person at the EPA resigned in protest over what they’re doing to what are calling the new source performance standards for air quality. Certainly, issues like terrorism, Iraq and the struggling economy are rightfully taking center stage in the campaign and are ranked among voters’ biggest concerns in the latest Harris poll. Admittedly, only about 1 percent of poll respondents called the environment one of the two issues they’re most concerned about — but that doesn’t mean they don’t care about it. Prescription drug prices also drew only about 1 percent on that question, and that certainly hasn’t prevented both candidates talking about them ad naseum. Spokespeople for the Kerry campaign maintain that the media simply haven’t fully covered Kerry’s speeches on the environment. That’s probably true, but not the only factor, as this year’s Democratic campaign — and even the party platform — has left the environment on the back burner. (He has made some strong, state-specific arguments — such as opposing the Yucca Mountain nuclear waste dump). The politicization of the environment continues to create gridlock in Congress, where a majority of Democrats and a number of moderate Republicans have stalled some of Bush’s anti-environmental agenda — and GOP leadership blocks pro-environment bills. As the Washington Post reports, Congress adjourned for the campaign without acting on the “Clear Skies” bill, funding for the Superfund toxic cleanup program, an anti-global-warming proposal co-sponsored by Joe Lieberman and John McCain, and administration efforts to weaken the Endangered Species Act. What happens with those measures will affect not only the planet’s health, but the long-term health of numerous Americans. The Bush administration has made the environment a highly partisan issue by taking the side of polluters and industry. It seems logical that Kerry, who’s on the side of the public, science and health, is well placed to persuade moderates and swing voters who want clean air and water for themselves and posterity.